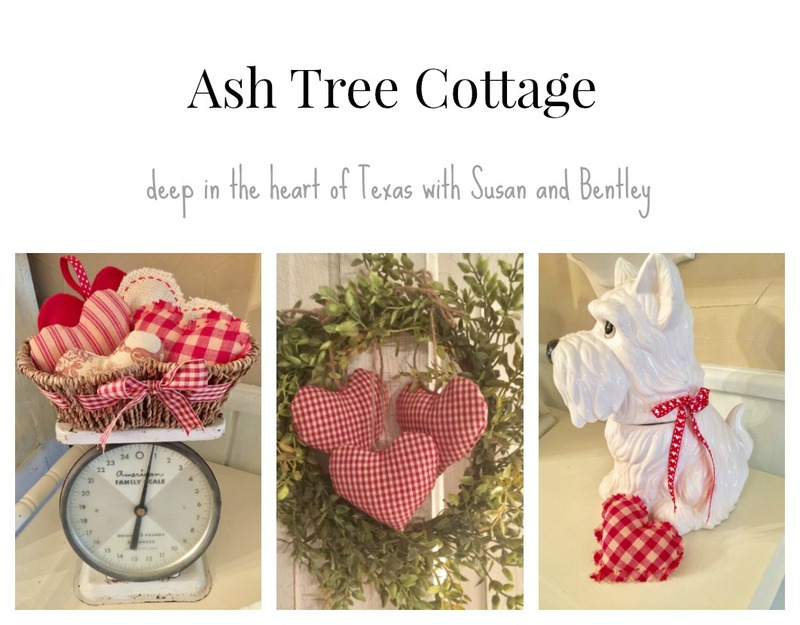 Ash Tree Cottage: Bacon and Cornbread Salad ~ Yum! Bentley, did Daddy eat it all or did he give you a bite??? My kind of eating. 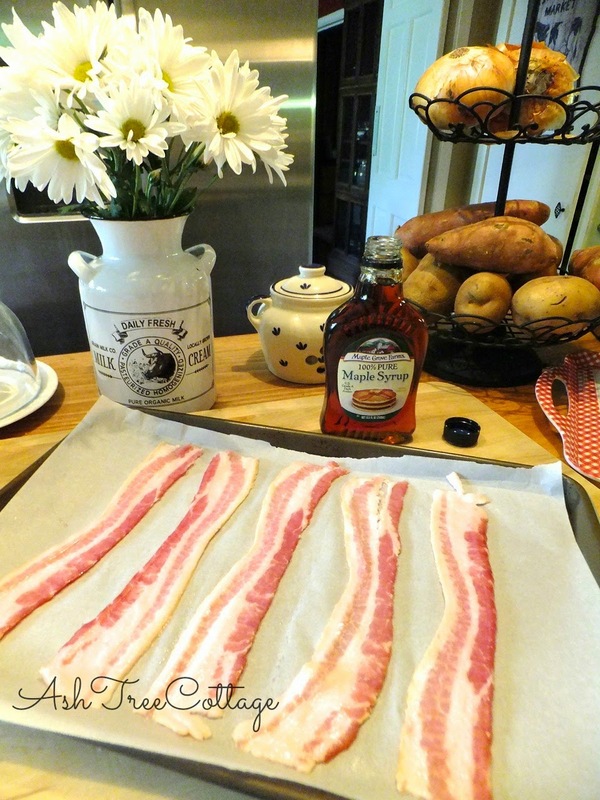 I love crisp bacon, but try not to eat too often. Never tried it this way. Everything sounds so good. I read about a woman recently who is over 105 years old, and when asked what her secret to a long life was, she replied, ''Bacon every day for breakfast''!! I love bacon, too, not enough to eat it daily, even if I could, but it is one of life's savoury sensations! 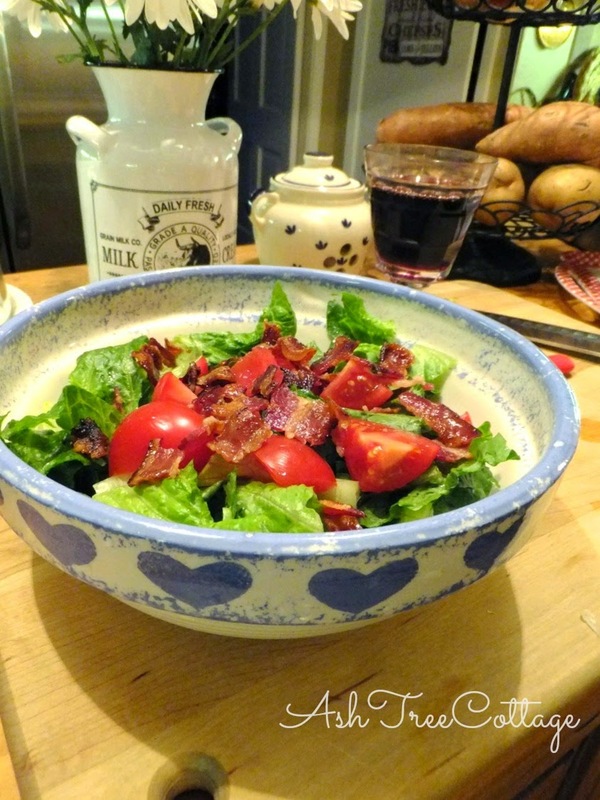 Thanks for your tasty salad recipe and the beautiful food styling and photography, Susan~! Thanks for the dietary confirmation Poppy! I gave up drinking Diet Dr Pepper because I thought it might be bad for my health. Then I read that a 104 year old woman here in Texas drinks Dr Pepper every day. 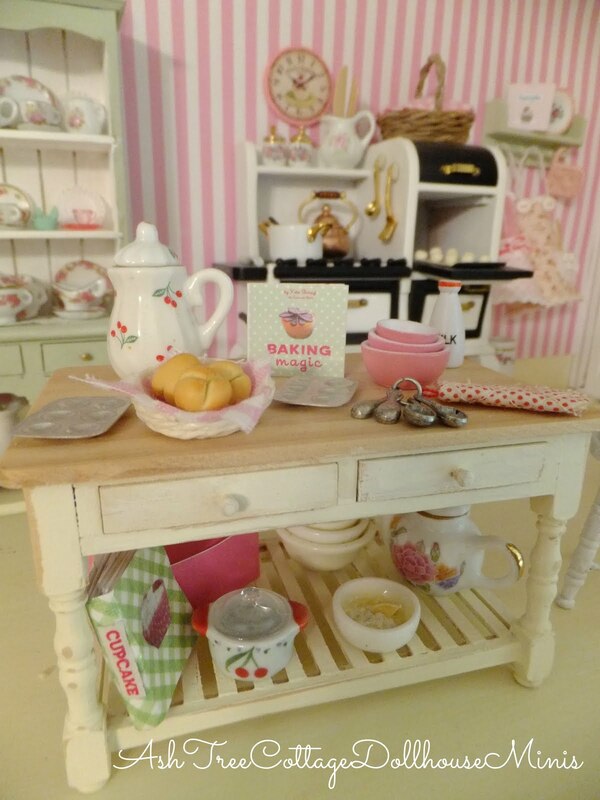 Guess what ~ Dr Pepper is back in the fridge :-) Thanks for stopping by Poppy. 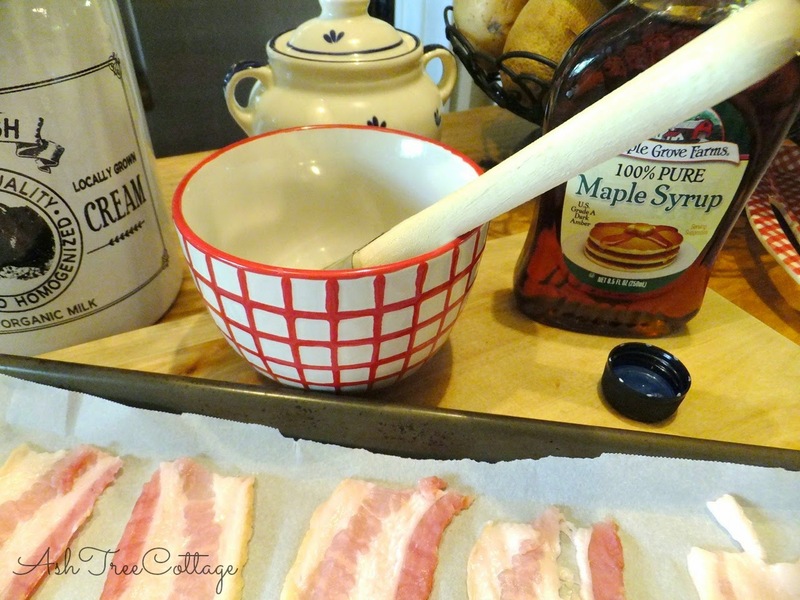 Not only does the bacon come out flat, it comes out crispy without the mess. I won't make it any other way now. 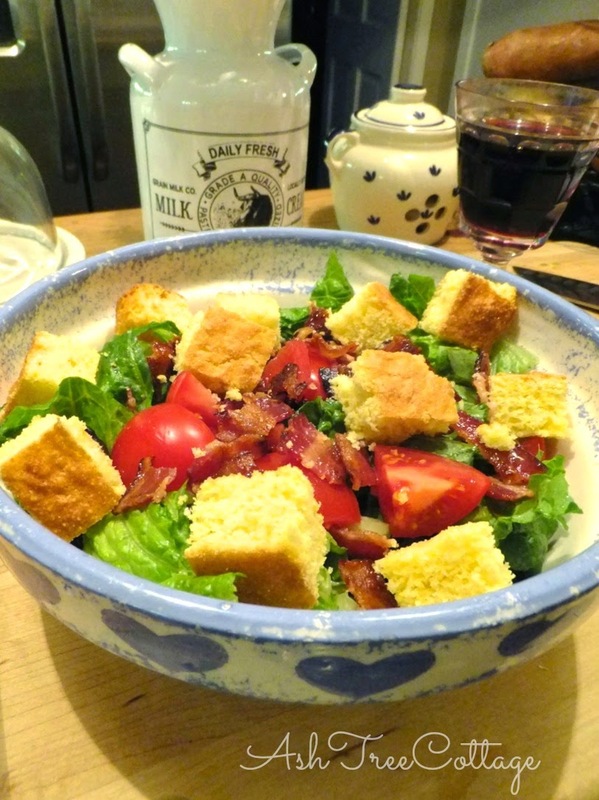 Bacon and cornbread are yummy and when you add that Buttermilk-Chive dressing you will be soooo happy! 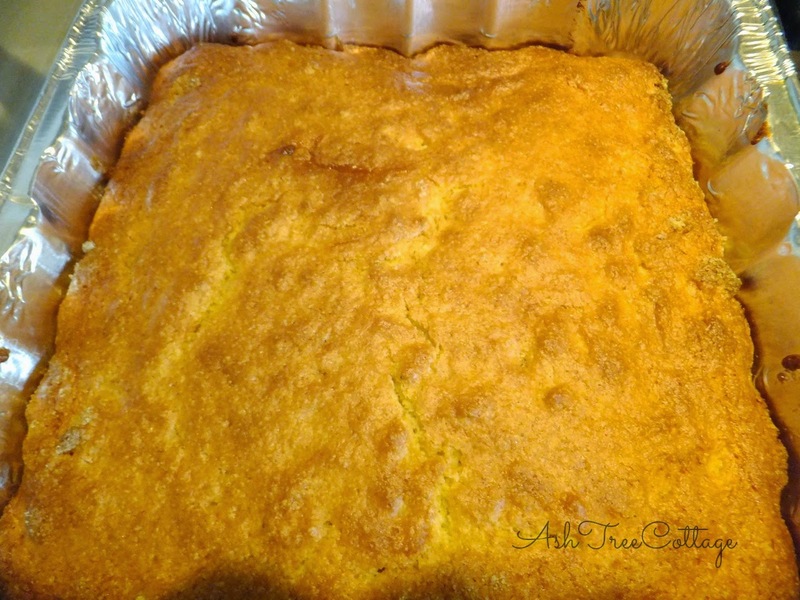 I love cornbread croutons! Great salad! 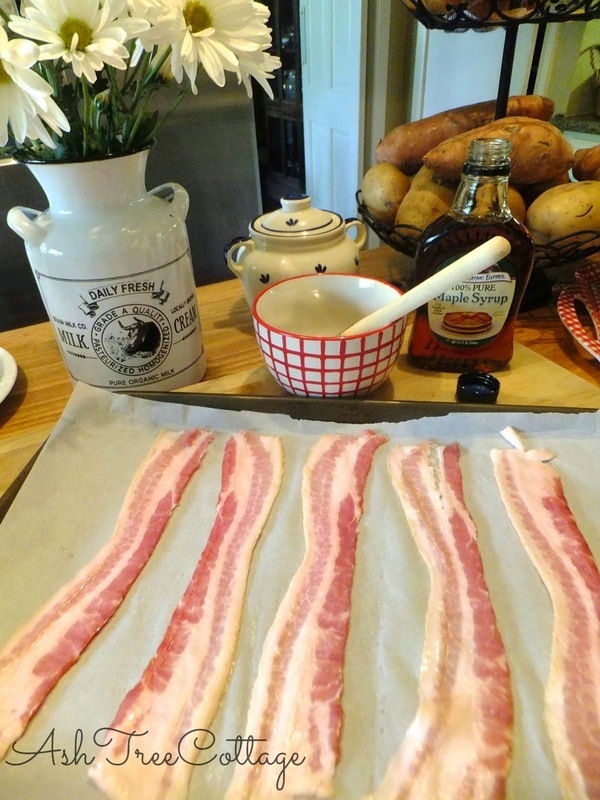 I'll have to try your idea of baking the bacon on parchment paper. I LOVE parchment paper! So versatile! The salad looks delicious! You're such a good wife!